Simplified assembly and disassembly, free of nail damage, reduces container costs to a fraction, saving you money! Klimp® design and material composition allows for unlimited usage and Klimp® is guaranteed for life. Klimps come in three different sizes to accommodate standard lumber sizes of 1”X 2”, 1” X 3” and 1 X 4”. 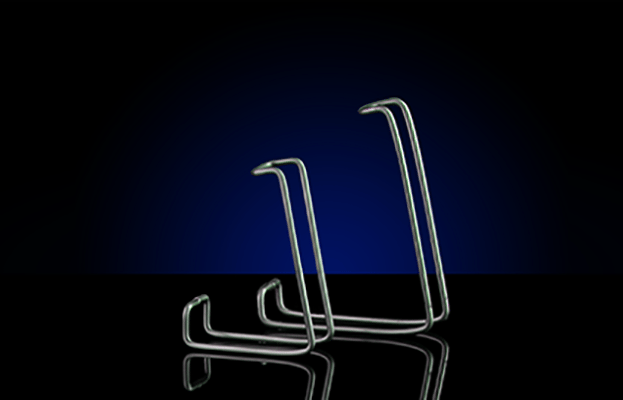 Cut Labor Costs by 65% – One Klimp® replaces five to six nails. Box assembly is reduced to minutes, disassembly even faster. Fit Standard Lumber Sizes – Use Klimps in place of nails on standard 1”X 2”, 1” X 3” and 1 X 4” on standard size boxes, with or without milled or routed slots. Are Reusable – Klimps prevent box damage and Klimp® fasteners can be used again and again, saving you money! Are Strongest by Design – Fabricated by anti-rust, galvanized, high-tensile spring wire, Klimp® fasteners are safer and have triple the holding power of nails.